GrowRIVERSIDE “Dinners in the Grove” Series to Kick-off on March 14; Get Your Tix Now! Imagine a dinner in a grove under the stars, sipping on a cocktail infused with local Riverside citrus, eating food sourced from the farm down the road, all prepared by a notable local chef. Well, come March this “dinner in a grove” idea will be a reality. 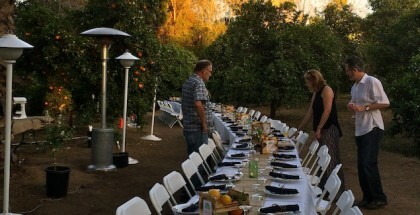 Introducing a unique dinner series to support GrowRIVERSIDE and celebrate the City of Riverside’s citrus heritage and locally grown produce, “Dinners in the Grove – A Farm-to-table Dining Experience” will literally take place in different orange groves across the city over the next couple of months. The first “Dinner in the Grove” will take place on Saturday, on March 14, 2015 at Fairlawn Farms. Guests will be treated to a farm-to-table dining experience from sponsor The Salted Pig featuring food and drinks concocted and cooked up using local Riverside ingredients, including citrus from the groves of sponsor and host, Fairlawn Farms. 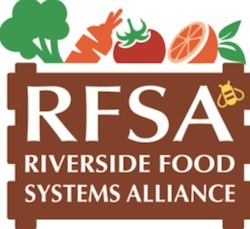 The dinner will also feature guest speakers including Salted Pig and W. Wolfskill owner, Ronaldo Fierro as well as executive chef Larry Thai, who will discuss how they work with local farmers as well as the challenges and opportunities present in incorporating more Riverside-grown produce into operations. ONLY 60 seats are available for the dinner, so register now to reserve your spot in the grove for a special night to support GrowRIVERSIDE and celebrate local food and citrus in Riverside!